Self-driving cars? Pah! How about just meeting basic safety standards first? Safety. This single word is ostensibly one of the major driving forces behind the global push towards the autonomous car. The self-driving vehicle, many proponents believe, has the potential to virtually eliminate fatal car crashes. How? Well, such vehicles would effectively render drivers obsolete, thus eradicating the sort of â€œhuman errorâ€ responsible for so many on-road incidents. In an ideal world (from a safety standpoint, anyway), every single vehicle on a given road network would be of the autonomous variety, connected to both other cars and the relevant road infrastructure. Constant wireless communication between all elements would at best prevent the overwhelming majority of crashes and at worst mitigate the effects of the utterly unavoidable ones. Thing is, such an ideal is a long way off â€“ particularly for developing countries. While it may take merely a matter of years for rich, developed nations to perfect the technology, build the networks, and amend the necessary legislation, low- and even middle-income countries face far more challenges and thus a potentially unending wait. Of more immediate concern is the shockingly low level of basic safety still displayed by so many of todayâ€™s cars on sale in low-income markets. Indeed, a recent Global NCAP report revealed just how worrying things are, with chairperson Max Mosley stating that â€œcrash test standards introduced twenty years ago for cars sold in Europe are yet to be met by many new cars, and even brand new models, being sold today in leading middle-income countries in Africa, Asia, and Latin Americaâ€. â€œThis is entirely unacceptable. Manufacturers cannot continue to treat millions of their customers as second-class citizens when it comes to life-saving standards of occupant protection,â€ Mosley added. And heâ€™s right, you know â€“ thatâ€™s exactly what many manufacturers are doing. Due primarily to an absence of modern legislation in such markets â€“ in which high-volume budget cars are obviously the big money-makers â€“ automakers have little reason to voluntarily spend cash on improving the safety of their wares. Why would they when theyâ€™re profiting hugely from flogging cheap (often old design) vehicles lacking in both structural integrity and basic safety equipment? They are, after all, not breaking any laws, theyâ€™ll insist. But Global NCAP says the failure of â€œmillions of new carsâ€ to meet the United Nationsâ€™ basic safety standards for front and side impacts needs to be urgently addressed â€“ from both sides. The international automotive safety watchdog wants the appropriate governments (and insurance industries) to provide â€œfiscal incentivesâ€ for buying safer cars and also consider scrappage schemes to remove older, less safe vehicles from the road. And, of course, introduce mandatory crash testing. 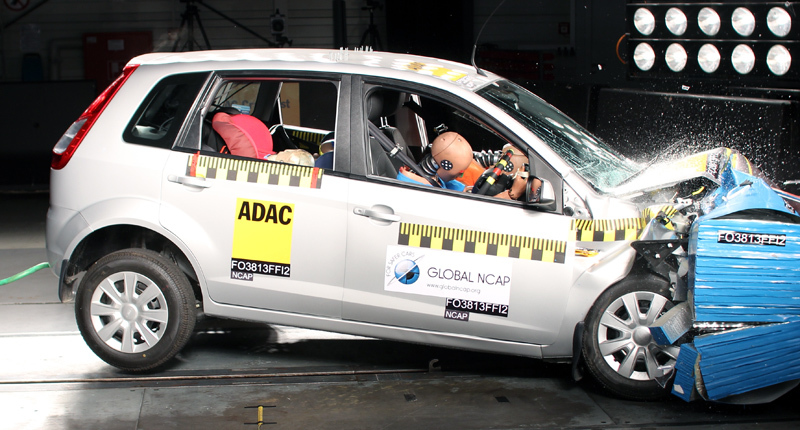 And, in addition, Global NCAP wants all automakers to make a voluntary commitment to applying front and side impact crash test standards to all new cars from 2016, and cease the practice of â€œde-specification and bundling of safety featuresâ€. Instead, the safety watchdog wants the full range of safety designs and devices to be available in all major markets. â€œThe drive for the democratisation of car safety must now be extended across all automotive markets worldwide. By 2020 at the latest, we want all new cars to meet basic standards for both crash protection and crash avoidance. They must have crumple zones, airbags, and electronic stability control,â€ said David Ward, Global NCAP Secretary General. And the ball has already started rolling. India â€“ that truly massive market in which the Datsun GO scored a big fat zero in Global NCAPâ€™s programme â€“ says it will mandate crash testing on all redesigned models from October 2017 and on all new vehicles by October 2019. And hopefully other developing nations will follow the second-most populous countryâ€™s lead and at least set minimum safety standards soon. 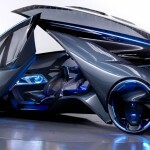 So, sure, from a safety perspective, the potentially life-saving benefits of the autonomous vehicle make it a technology well worth pursuing, even if it takes huge investment from both governments and manufacturers. But shouldnâ€™t automakers be spending even just a fraction of this cash on improving basic safety standards in developing nations first?